Please park in the parking lot on the west side of the building and enter the main doors there. 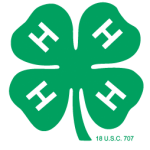 Lincoln Tues., January 8, 2019 6:00 pm Lincoln County Service Center, Merrill RSVP to Holly Luerssen at holly.luerssen@ces.uwex.edu. You must register by Thursday, January 10th. If it needs to be cancelled due to weather, you will be contacted if you register by this date. If you do not, it cannot be guaranteed that you will be contacted about adverse weather. Enter the parking lot off of Indiana Ave. and use that building entrance.